About 30 minutes north of Nuevo Vallarta is the authentic Mexican beach and fishing village of Sayulita. 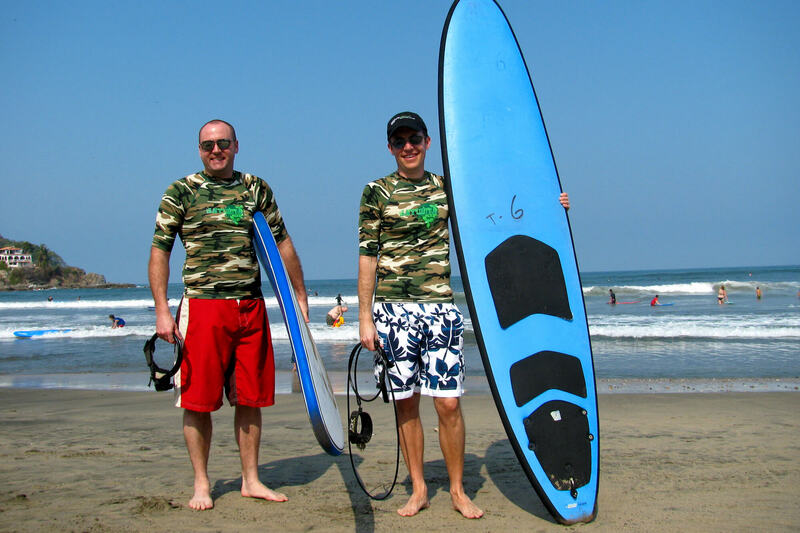 The beach is known for its gentle surf and rolling waves that are perfect for beginning surfers. Several local companies have surf boards for rent and offer reasonably priced lessons. Just walk along the beach sidewalk and you’ll see plenty of rentals available.